Location, location, location! - located in the cultural heart of Kings Cross, less than 5 minutes walk from King’s Cross St. Pancras Station, this modern residence (opened 2009) offers sophisticated living with unrivalled transport links across London and beyond. 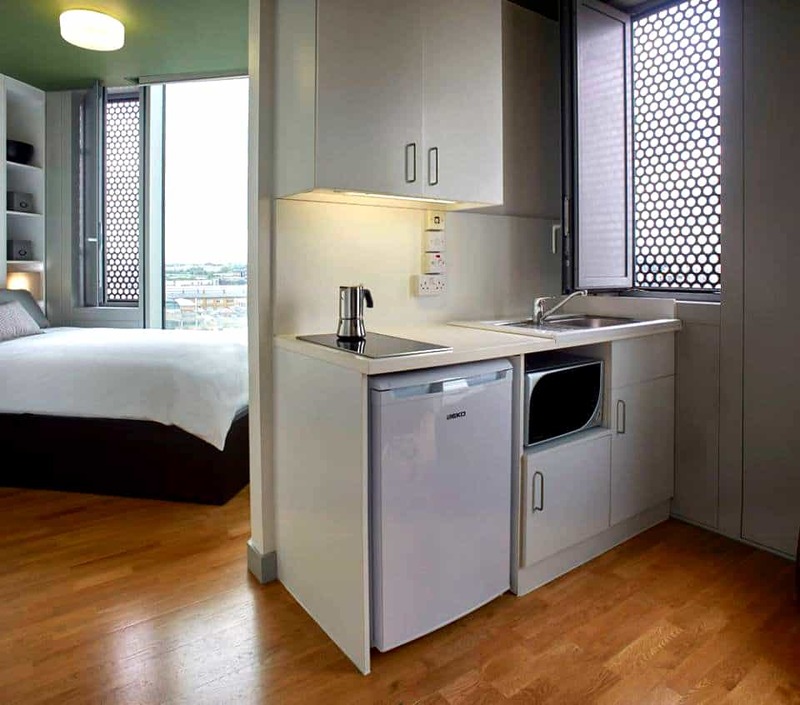 One of the largest buildings in the area and home to up to 1,000 students this modern building has far reaching views across London. 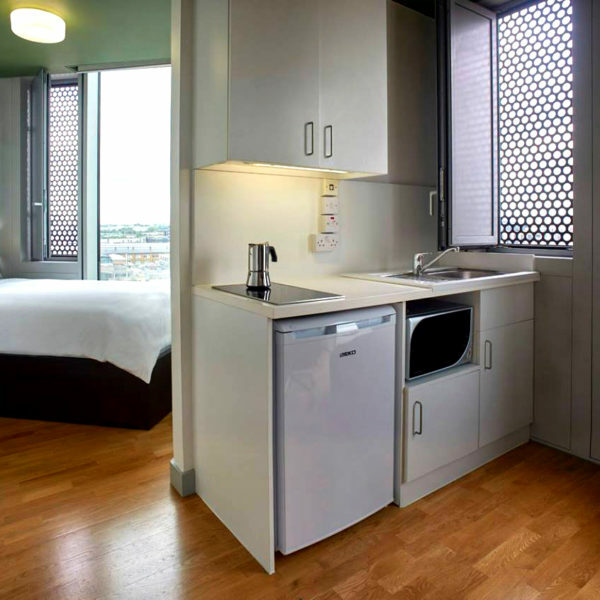 All rooms are modern, specially designed for students, come complete with en suite bathrooms and equipped with kitchenettes and ample storage. Studio rooms with ranging from 16 to 19 square metres, complete with a private kitchen, living area, Hypnos single bed and study area. Free unlimited Wi-Fi is also provided.